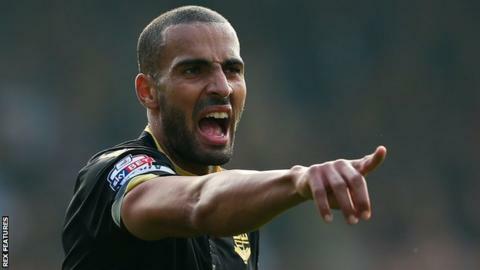 Relegated Bolton Wanderers need to make changes throughout the club, including looking at the whole squad for next season, says captain Darren Pratley. Saturday's 4-1 loss at Derby confirmed their fall into League One. It will be the first time that Bolton have played in the third tier of English football since 1992-93. "Every day there is something negative coming out of the club and it needs a whole new change, probably a whole new squad," said 30-year-old Pratley. He told BBC Radio Manchester: "Upstairs the finances seem like they're sorted now and there needs to be a positive vibe around the whole club as the last couple of years have been negative. "Everything that has been going on, obviously it has been in the changing room whether you want it to or not - you can come out and say it doesn't affect you but it does." Bolton have spent most of the season with financial problems looming over them, with former owner Eddie Davies withdrawing his financial support given their debts of £172.9m. After three winding-up orders, Dean Holdsworth's Sports Shield consortium and Ken Anderson's Inner Circle completed a takeover of the club in March, and shortly after parted company with manager Neil Lennon. "It's been a terrible season on and off the pitch, not good enough and we're going down," added Pratley. "We have to take responsibility as players. On the pitch it's not been good enough, off the pitch as well people have to take responsibility upstairs. "Lets not kid ourselves - this has been going on for a couple of years now. Serious changes and things need to be made next season if there is any change of getting out of League One." Interim manager Jimmy Phillips has not improved results since Lennon left the club, as they have registered just four wins in the Championship all season. Anderson, Bolton's chairman, has confirmed they are in the process of searching for a new manager. "We have had over 50 applications, which shows just in how much high regard our club is held," Anderson told the club website. "That list has been whittled down to single figures and our process of interviewing the candidates is already well under way. "We're working tirelessly to try to get the transfer embargo lifted - that is obviously paramount in our planning. We also have a number of key relationships and agreements in place with teams in the top flight with an eye on what we can possibly do in the loan market. "This is a fresh start for us all. We've been working on this plan for some time - we're now in the process of putting it into action."